The days are getting shorter and colder, so it’s certainly time to bring out the Fondue set. 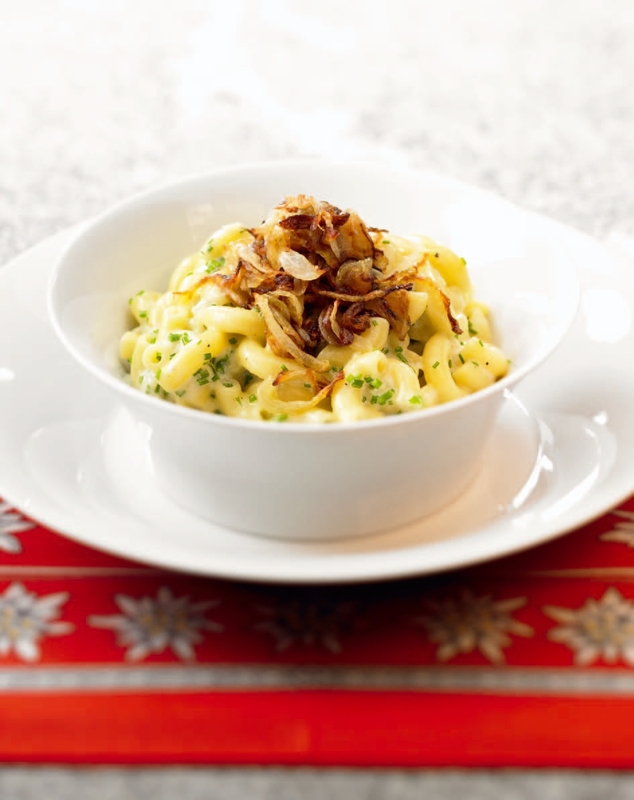 This traditional and iconic Swiss dish seems to have a bit of a revival here in Australia, hence we tend to see quite a few recipes and myths floating around. So, let’s look into what is actually necessary and what’s just, well, a myth. Growing up in Switzerland this dish was part of my upbringing. But mind you, at home we never prepared the fondue like the typical Swiss-German family, oh no, my parents used to live in the French speaking part (the birthplace of this dish) before I was born. There they learnt the traditional – and in my opinion – best way of making an authentic, Swiss cheese fondue. 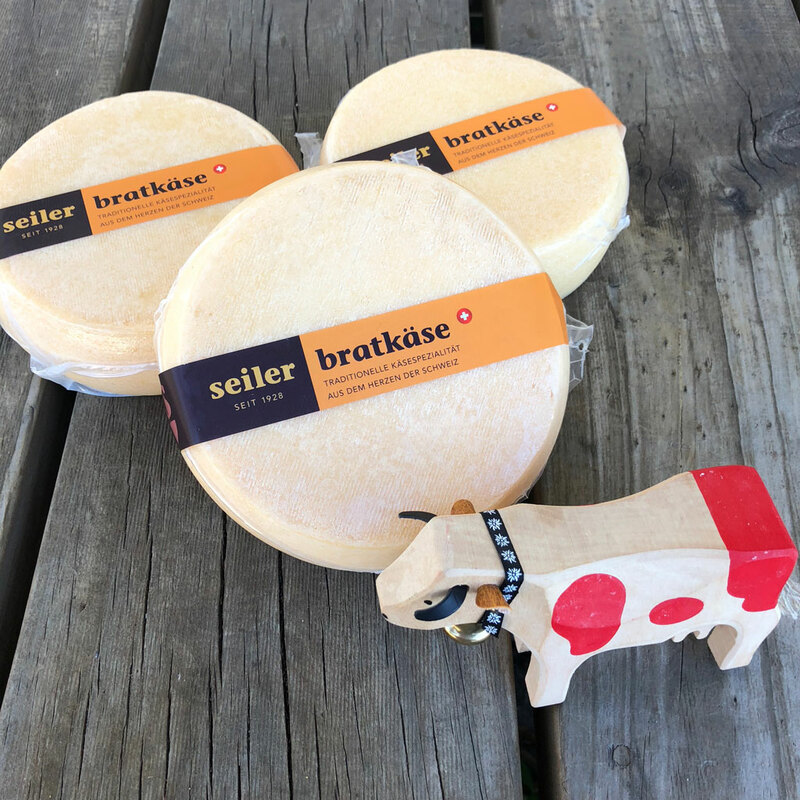 In Switzerland they call this one “moitié-moitié”, meaning “half-half” and referring to the cheese mixture of half Vacherin Fribourgeois and half Gruyère. You will see that the best thing about this fondue – besides its amazing taste of course – is that it’s really simple and works every time. 100ml dry white wine (the original recipe calls for a Swiss Fendant (chasselas grape), but you can get to a similar result with an unoaked Chardonnay, a dry Riesling or a Gewürztraminer). Slice the garlic and pour the cheese mix, the wine and the garlic in a fondue pan (Caquelon). Put it on the stove on medium heat. Yes, the stove. You can cook your entire fondue on the little burner that was part of your fondue set, but it will take a long time and is really the right way of doing it. Some people prefer to rub the pan with the garlic but I find it better to be sliced and put in. Stir the mixture regularly. I only use a normal fork for this and I don’t bother with the figure 8 that everybody says you have to. As long as you mix everything, you’re fine. Make sure the mixture does never boil. It will take a little while depending on the amount of cheese. Then, mix the Kirsch with the corn starch and once the mass is fully liquid (no lumps in the cheese!) add this mixture to the pan. Now constantly stir and wait until the mixture transforms into a slightly thicker, uniform consistency. Should the liquids not bind, use a bit more of the starch/Kirsch solution. Also to get the corn starch to react, it needs a bit of temperature (but not boiling!). Finally, add a bit of freshly ground pepper and serve.